Are you into health or education services and looking for website design, we design website for hospitals, doctors, nursing home, private clinics, pharmacy products, schools, college, educations institutes, coaching centre etc. Kolkata Web Hosting offers competitive rates for website design for schools, colleges and health sector, with our indepth knowledge of technology and website presentation style, we can create a website which would bring favorable results for your institute. With a website, you can update your students or patients about the services you offer, a school website can reduce a lot of work pressure for school administrators who just have to answer phone calls for regular enquiries, the same applies for hospitals and nursing home. You can also upload various forms, notices etc on website which would help you in updating your students, guardians and patients. With a website, you can advance in your field as most of the ordinary work like general enquries, forms, fee structure etc would be handled by website and you and your staff can focus on other area of your institute. 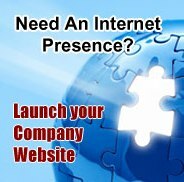 Kolkata Web Hosting offers Service Provider website design from Rs. 25,000.00 - Rs. 1,75,000.00, depending on website requirements and complexities. Payments should be made through local cheque or demand drafts favoring "Kolkata Web Hosting.com, Inc". The prices are just for indicative purpose only, prices may vary as per the work requirements, we would request you to provide complete details of the work required, this will help us to provide a competitive bid/quoation for your organization. Kolkata Web Hosting requires 25% advance for carrying out static website design, remaining 75% is to be paid after website is launched. Feel free to call or visit above clients offices, these are not fake websites, these are real clients whom Kolkata Web Hosting had offered website design services. An ecommerce website requires a web server which supports server side scripting technologies such as ASP, PHP, PERL, ASP.NET, along with a database management system like Microsoft SQL Server, MySQL or Oracle is required. We believe in fair business practices, and hence we follow a policy to keep our rates open, whether you are a small business owner or a fortune 500 organization, we always charge as per the work required, and not on the basis of business we are serving. Our work justifies the rates we charge, and whether you spend a penny or a pinnacle, we ensure you of good returns on investment, its not us, its what our clients say about us. We are a proprietorship company, with a single owner, we have a valid Trade License, PAN Card, Proffesional Tax license. We have also applied for Service Tax license, however, due to limited turnover (less than 10 lakhs), we are not liable to charge service tax. We can provide customer references, in verbal and written from various organization, we have been in business since 2005, and we have never suffered loss, we do not have any government taxes or duties outstanding, we are an honest company with honest people working around.